Sundance comes highly recommended for lunch, but how does their breakfast stack up? When I was looking up Sundance Deli to do some preliminary research, I saw all the glowing reviews on Yelp for their lunch. Everyone loved them and they came highly recommended. But what set them apart from the other delis up along that same street? The Mexican dishes, it seems. In fact, looking closely at the breakfast menu posted online, there was a tiny blurb touting the availability of hot tamales on Saturday and Sunday mornings. We rolled in around 10:45am and there were four tamales left. I ordered a tamale and a chicken empanada to go with my coffee. 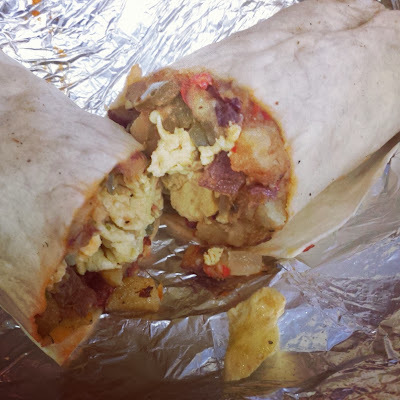 Jeffrey had the breakfast burrito which was stuffed with eggs, chorizo, jalapenos, potatoes, tomato and onions. There is a narrow table that runs along the wall with some high top chairs for anyone who wants to eat in. Not a lot of space, but available when it’s not so nice to eat outside. 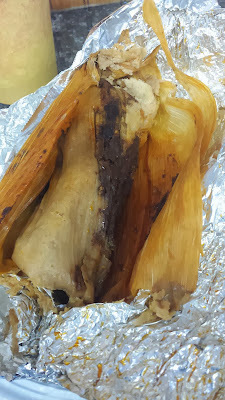 The tamale was good, well stuffed and the perfect amount of spice. The corn masa held its form as I was eating without falling apart with every stab of the fork. The meat was just a bit spicy, but not overly so. The empanada was also really good. It was filled with a potato chicken filling. Well spiced, and the fried dough wasn’t overly greasy or chewy. 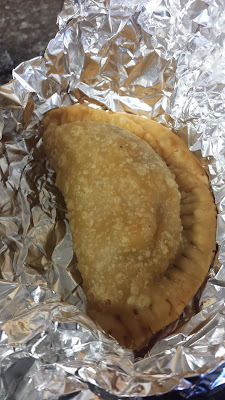 I haven’t had many empanada’s in Westchester, but I’d say this one ranks in the top of what I’ve had. Jeffrey’s breakfast burrito was well wrapped and substantial. He felt it was a good place for a grab and go breakfast. 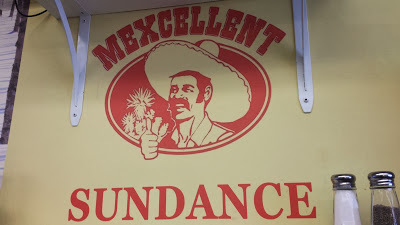 The czar says: A great little deli that differentiates itself with some well made Mexican offerings. A great place for a work day breakfast run. I’d definitely be back for some empanadas.